CoveCare Center is pleased to welcome Vincent D’Ambroso and Erina Ponzini, Esq. to its Board of Directors. 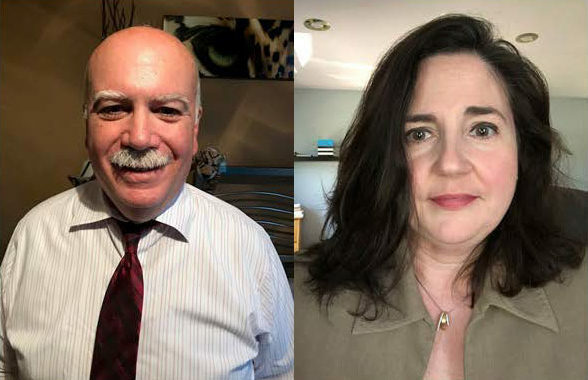 Mr. D’Ambroso and Ms. Ponzini are the most recent additions to the governing body of the Carmel-based non-profit that addresses mental health needs, substance use, and social and emotional issues. Mr. D’Ambroso brings more than thirty-five years of experience in the financial services industry to the Board of CoveCare Center. He currently serves as a Business Portfolio Specialist for the Hudson Valley Federal Credit Union. In addition to his extensive financial career, Mr. D’Ambroso has served as a board or committee member of many organizations in the private, public, and not-for-profit sectors. He is currently a member of the United Way of Westchester and Putnam; United Way Regional Board of Putnam County; Advisory Board of Friends of Putnam County Office for Senior Resources; the American Heart Association Putnam County Regional Board; and Putnam Service Dogs. Currently, he is also an active member of many Chambers of Commerce throughout the Lower Hudson Valley. “As someone who believes in serving the communities in which I live and work, I am honored to be joining the Board of an organization that is dedicated to improving the lives of others, and assisting individuals to overcome challenges and live more satisfying lives. By possessing sincere passion for their profession, support for one another and a focus on the whole person, the staff at CoveCare is amazing. They foster hope, wellness, and recovery, and a restore to a quality of life, truly adhering to the CoveCare mission,” stated Mr. D’Ambroso. A Putnam County resident for 15 years, Ms. Ponzini has been a partner of Gugliotta & Ponzini, P.C. since 1998. In addition to her legal practice, Ms. Ponzini serves on the boards of Camp Herrlich and the Matthew Patterson Parent Teacher Organization. “I am committed to CoveCare Center as I have seen firsthand the impact the facility has on people’s lives. 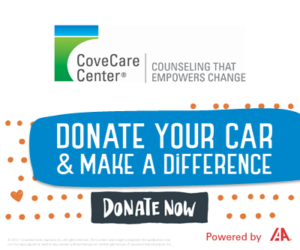 The staff at CoveCare views their role as more than a job; it is a calling to help others, and I am honored to help further their great work,” said Ms. Ponzini.